With over 15 years of experience in supplying both steel and aluminium pressings to the automotive market, Pressmark are well established in the automotive sector to support new customer opportunities. Having been accredited to IATF 16949, in it’s original guise as ISO/TS 16949, since 2004, Pressmark are well versed in the practices that are imperative to achieve the relevant goals of the challenging sector. During this time, we have changed processes and materials to reduce weight, improve strength and reduce cost, whilst improving the product through each new generation of vehicle that is launched. The principal products within the automotive industry are passenger cars, vans, sports utility vehicles (SUV’s), trucks, busses and motorcycles. Here at Pressmark, our largest volume component is manufactured for a passenger car at the rate of 100,000 units per month, showing that we have the capability to scale up to meet customer demands. About 14% of our products use aluminium pressings. Passenger car components are by far our largest automotive output at Pressmark. Whether you require small simple parts, such as bumper brackets, hinges, suspension mounting brackets or battery trays, to more complex products such as door sills, centre console dashboard supports or rear sub-frames, we have the plant, equipment, knowledge and skill set to support you. In the automotive truck market, whether that be light commercial vehicle (LCV) or heavy commercial vehicle (HCV), Pressmark have a wide range of plant to support not only the larger components required for these vehicles, but the thicker gauge material too. 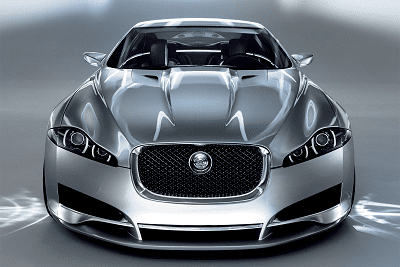 With our knowledge in aluminium pressings, we can also help you to reduce the weight of your vehicle. Bus manufacturers have been building lighter weight structures for some time now, by utilising complex aluminium extrusions. With the automotive knowledge that Pressmark have, we have helped companies change from traditional steel pressings to aluminium pressings and in some instances have re-designed costly machined aluminium pressings in to cheaper pressed extrusions.